Made from forks and spoons, this jewelry is the perfect gift for any foodie! 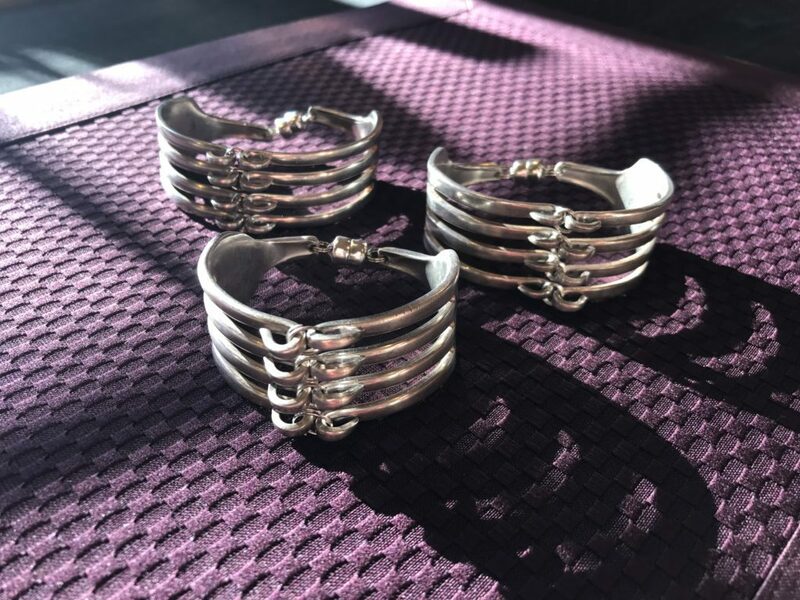 Our fork bracelets are made from two dinner forks, creatively connected by shaping the metal and adding latches. Spoon bracelets are made from three spoons. 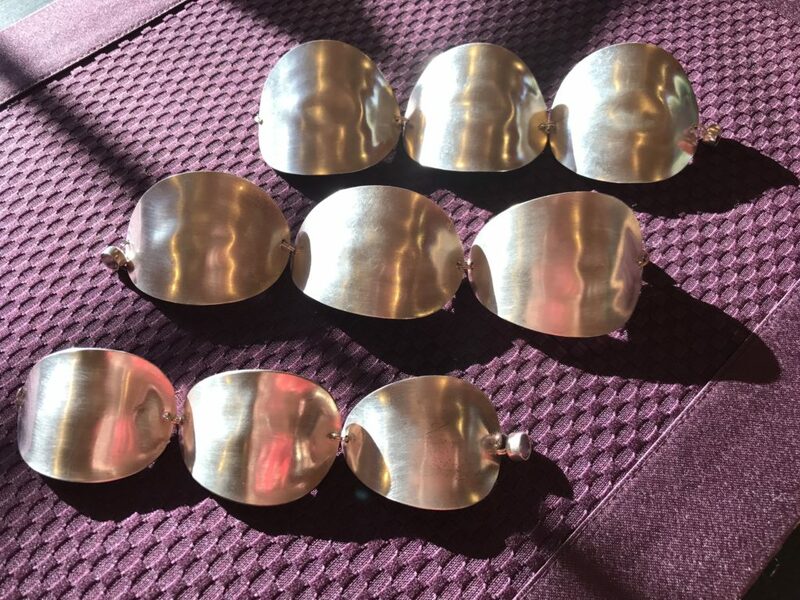 Each spoon bowl is flattened and carefully curved for comfort when worn around your wrist. These bracelets are easy to put on and take off by yourself with magnetic clasps. Each piece of jewelry has been created by us in our shop. They are all unique, and wonderfully fashionable! If you want an edgy and modern piece of jewelry that accents your edgy and modern sensibilities, these are definitely for you. Love, Laughter, Fun and Play is my motto for a successful lifestyle and the motivation to create one of a kind art. Hi. I'm Brian Greer a self taught artist. I have been doing art shows full time for 30 years. I sometimes say anxiety and hunger pains are a good motivator. I love to re-purpose items and make one of a kind art pieces. I have won many awards for my art and also my display at art shows. My wife, Paige is also a big part of our business. She is the business end of The Fun Company Jewelry and I couldn't do it without her. Please collect my pieces knowing each one is made with love from The Fun Company!